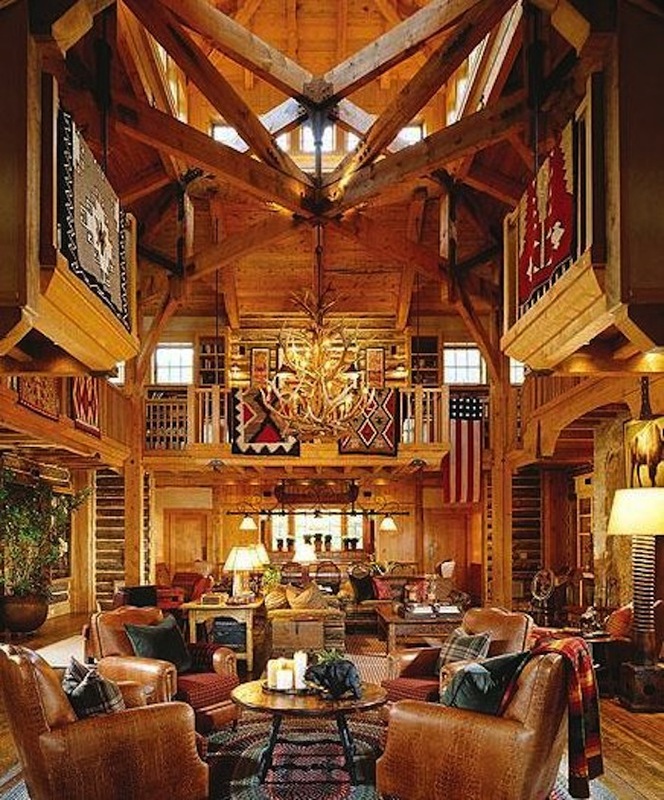 Question of the day is what can you do with a quilt in your home decor to enhance its beauty? 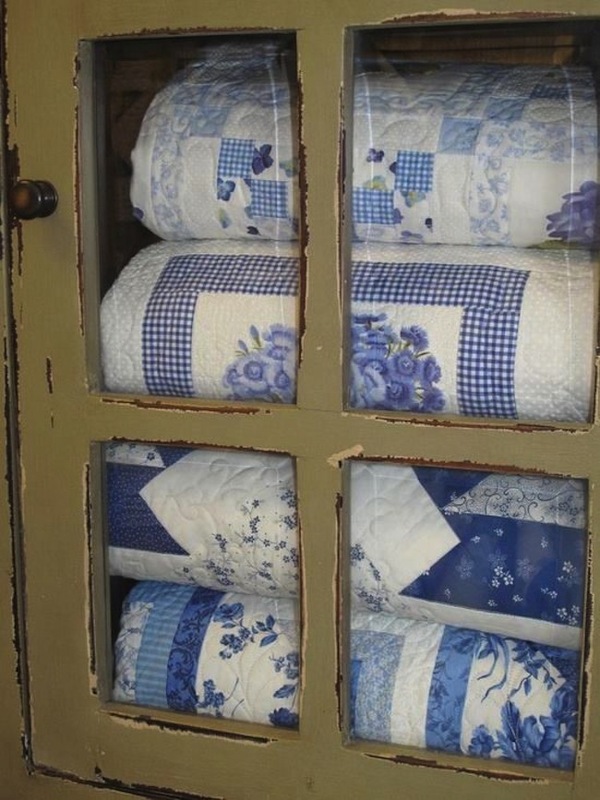 Modern quilts and vintage treasures are valued for their fine workmanship, stunning beauty and historical or ancestral connections. But, today more than ever we don’t want to tuck these beauties away in a chest or trunk, we want to display them in our homes so we can enjoy them each and every day. We hope you’ll be inspired by these images that show what to do with a quilt! Hang it in lieu of a headboard to create lots of visual appeal. Here, this blue is a stunning example. For those so fortunate to have a collection quilts in like colors, a Glass display cabinet is ideal for showing off and protecting them. This works whether you cabinet is vintage with aged paint or a chic and just bought. 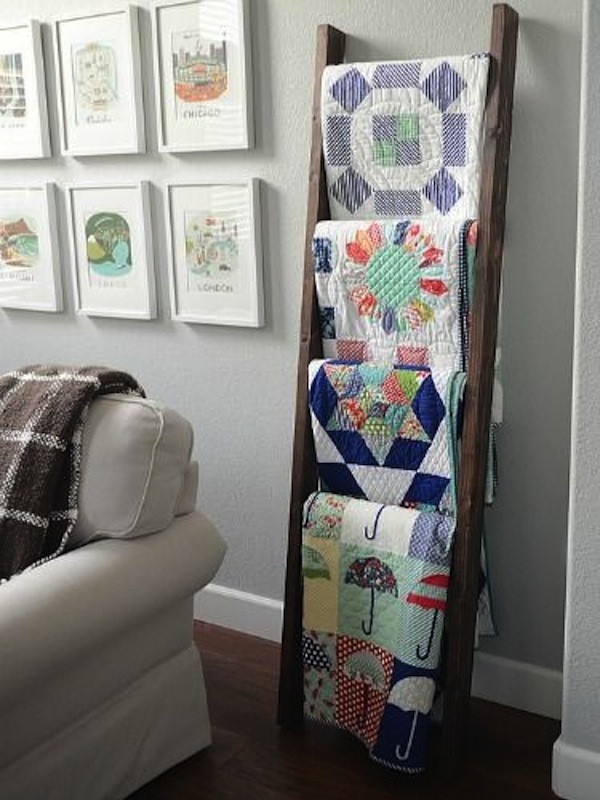 A quilt rack is always perfect for displaying a single quilt or a collection like the colorful one above. A quilt can easily be displayed by laying it across the foot of the bed. You might chose to protect by removing it from the bed at night. A quilt stand or a chair is perfect for that. Twin zig-zag quilts enhance this kids’ room. Aren’t the colors and pattern just right? Of course, only highly durable and washable quilts are suitable for a space such as this. 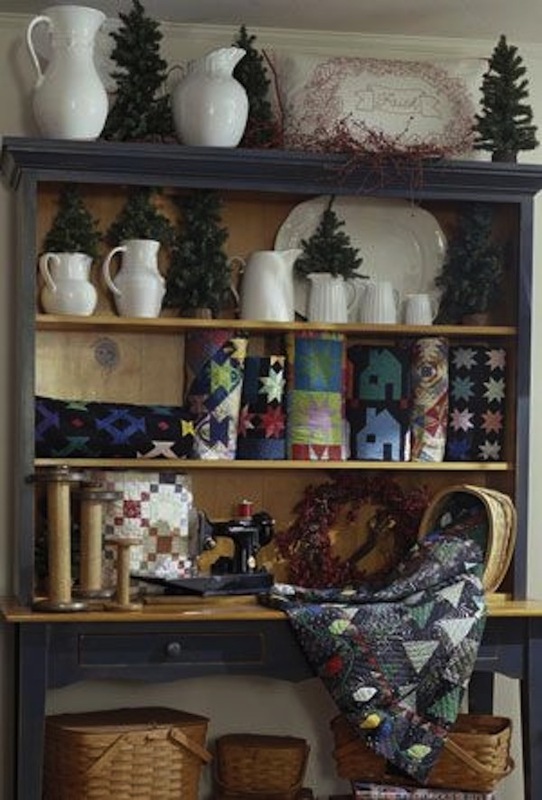 Hang a treasured quilts folded over a sturdy bar on the wall for added beauty and personality. Remember to refold occasionally so creases don’t become permanent. 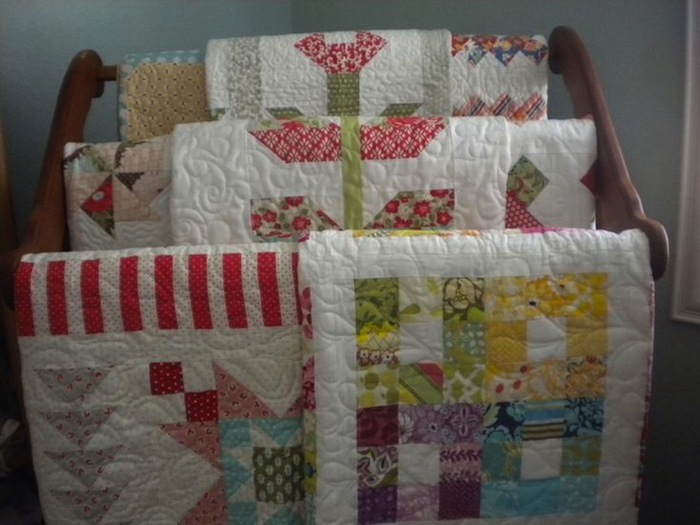 A ladder works well as a resting place for small quilts. We love the umbrella studded design at the bottom. 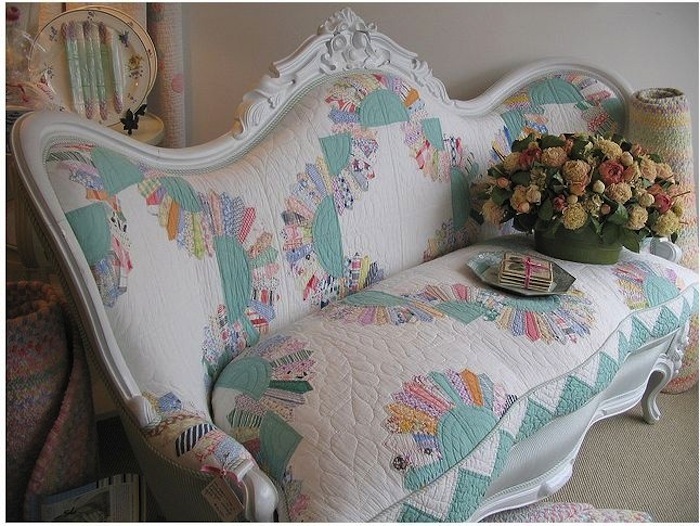 A less than perfect quilt or quilted squares found new life here on this white painted settee. Isn’t it charming? Perfect for a lady’s bedroom. 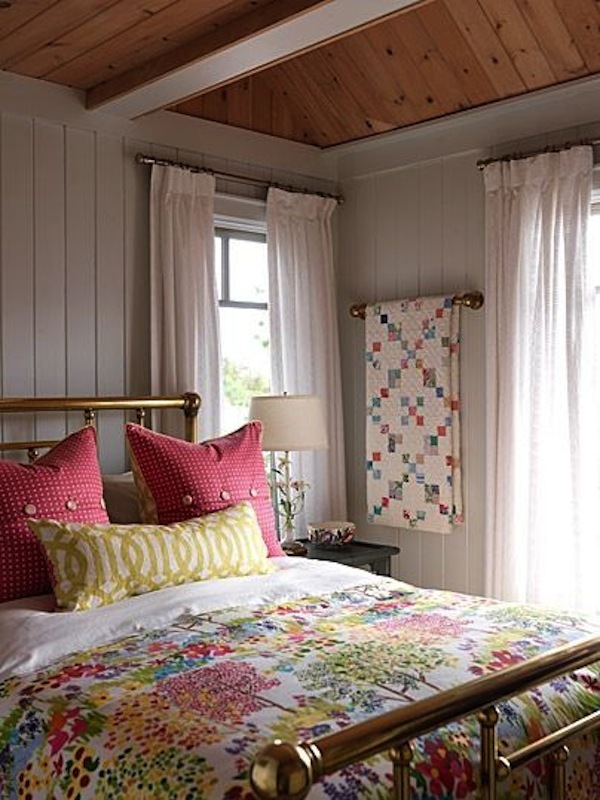 Hang quilts from railings in a lofty space. Quilts could easily be used as these blankets and rugs are. What a beautiful look. 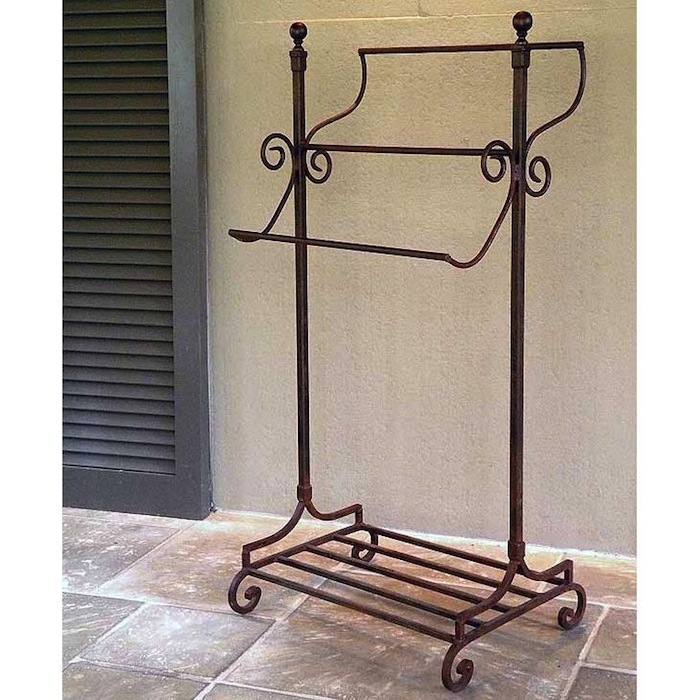 The Wrought Iron Abbey Road Rack by Griffin Creek could be used for blankets, quilts or towels. We think iron quilt stands can bring beauty and functionality to the bedroom. Image Sources: Pinterest.com; GoodHousekeeping.com; SimpleDetailsBlog.blogspot.com; Parents.com; Craftsy.com; CountryLiving.com.